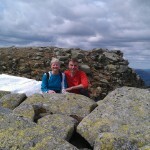 Thanks to Katie H for taking my kids for the night, Jon and I headed to the hills. I was running and he was on/carrying his cyclecross bike. 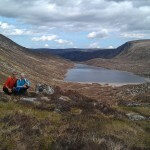 First time up Conachcraig and the running on the top over to Caisteal na Caillich was lovely. 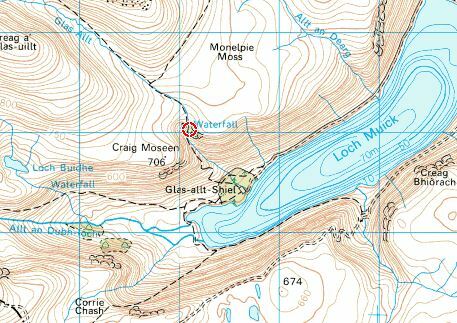 We then took the main track towards Meikle Pap and down through large boulders to the mouth of the loch at Lochnagar, Jon was cursing me at this point as there was no cycling. 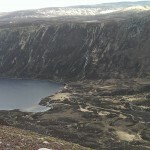 We went up the north side to reach lochnagar summit and then down past the waterfall. Some showers on top which were cold but overall nice day. This entry was posted in cp100, cp39, cp40 and tagged MarieE on October 12, 2015 by site_admin. 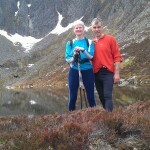 With the weather due to clear, I headed up Glenmuick to get up on to the Lochnagar plateau. 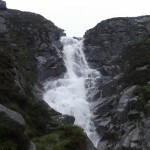 I cycled to Glas Allt Shiel and got up to the waterfall, which was spectacular due to heavy overnight rain. As I climbed from there the visibility deteriorated and the rain came on. 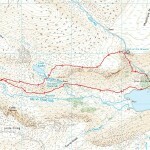 At the path junction I decided to abandon The Stuic and went back down towards the Loch. 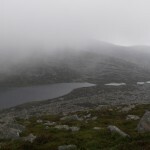 As I clambered over the rocks, the visibility started to improve, and there was Lochnagar ( the loch). 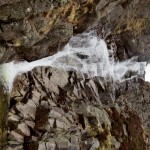 I returned by the (very wet) path to the bridge above the waterfall and back to the bike. 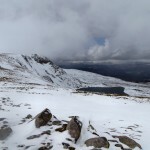 Raven, kestrel, goldeneye, wheatear and red grouse braved the elements with me. This entry was posted in cp100, cp39 and tagged Phil on August 4, 2015 by site_admin.